The Sault Cycling Club is happy to present another season of the Sprockids mountain bike riding course for spring 2019. This 6-week program, for cyclists aged 5 to 13 years old, will run May 14 – June 18, on Tuesday evenings from 6:30 p.m. to 7:30 p.m. 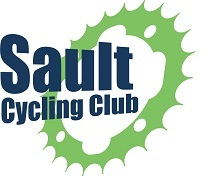 The program cost is $60, in addition to a current Sault Cycling Club Membership. All riders receive a t-shirt, an end of season ice cream with their team and a coupon for Joe’s Sports & Surplus for a youth sized bug shirt. Sprockids offers young cyclists the opportunity to experience success and build self-esteem by discovering and building upon their potential. The multi-tiered program teaches four skill areas for cycling – safety, etiquette, riding skills and bicycle maintenance. As participants progress in all areas at their own pace, gain experience in goal setting, problem solving and decision making. Sprockids is suitable for cyclists at any riding skill level on a two-wheeled bicycle (no training wheels or balance bikes). With Sprockids, no one sits on the bench. Each group has at least one certified Sprockids coach, supported by additional volunteers. These leaders have the skills and passion to instruct and evaluate, while modeling cycling and learning as lifelong activities. Through playing and riding, Sprockids promotes respect for others, empathy, appreciation and responsibility for the environment. To learn more about Sprockids, visit www.sprockids.com. Registration information is coming soon. Watch this space for details, and email any questions to sccsprockids@gmail.com.